Romel has been a regular visitor and a good friend of BTPOTC. This year, he and Nick visited the college as education consults and they brought four thousand US dollars’ worth of academic books to donate to the Bro. Tarcisius Prosthetics and Orthotics Training College (BTPOTC). BTPOTC was established in 2013 to train P&O technologists. They will be the beacons of hope that will reignite the flames of Prosthetic and Orthotic technology in Ghana. A dream of the founder of OTC and the first P&O training college in sub-Saharan Africa. For this reason, the college has attracted students, professionals and lecturers from all over the world. Some pass through, others return and for the rest a memory they will forever cherished. Amongst these people is Mr Romel Mackelprang, a friend of BTPOTC. His first visit to Ghana was for a research on wheelchair usage. Through this research, he stumbled on OTC. Since then, he have always been visiting the centre. When the college started, he has been visiting with some of the Semester at Sea students every year Semester at Sea is a study abroad program which is run on a cruise ship, and managed and sponsored by Virginia University. This year, Romel returned but not with his students, he came with Nick, his colleague lecturer at Eastern Washington University. They came as voluntary education consultants to the college. They both have over 30 years experience in the field of education. Romel and Nick were here to assist the college to structure their e-learning programs; and also help with their transition from manual to digital lectures through the use of lecture recording software, videos, VHS, Skype et c.
Hopefully P&O technicians that have no educational backgrounds but are proficient will be have the opportunity to have credential for their skills and experience. Romel and Nick worked with the lecturers and students all week. They will return to finish up what they started. It was exciting to have them around. We hope more people like Romel and Nick will join hands with OTC in redefining prosthetics and Orthotics in Ghana through the college. This entry was posted in OTC Stories on July 8, 2016 by OTC Ghana. On August 19th, 2009 I was sitting at my desk when I saw a mother carry her child into the treatment room. The baby seemed so small that I followed her to see how old the child was and what was the problem. I was shocked to find out that she was 16 months old and very malnourished. 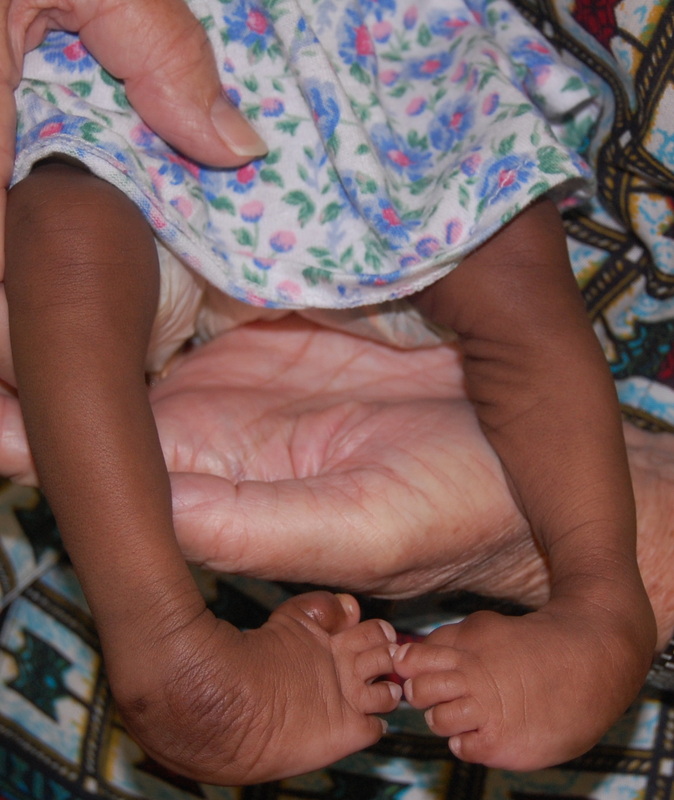 She had been born at home, had club feet, her fingers were not separated and she had one eye that was not too good. We immediately took her to one of the Catholic Hospitals about two hours away. After a week he came back to us and we kept the child and the mother and started to work with her. Slowly she started to gain weight and we started the treatment on the club feet. She was sent to eye specialist who said nothing could be done, she has a chronic infection in her left eye. Recently we were able to have a plastic surgeon separate her fingers. Now the plan is in November to cast her feet again then have a small surgery to correct her feet a little more. 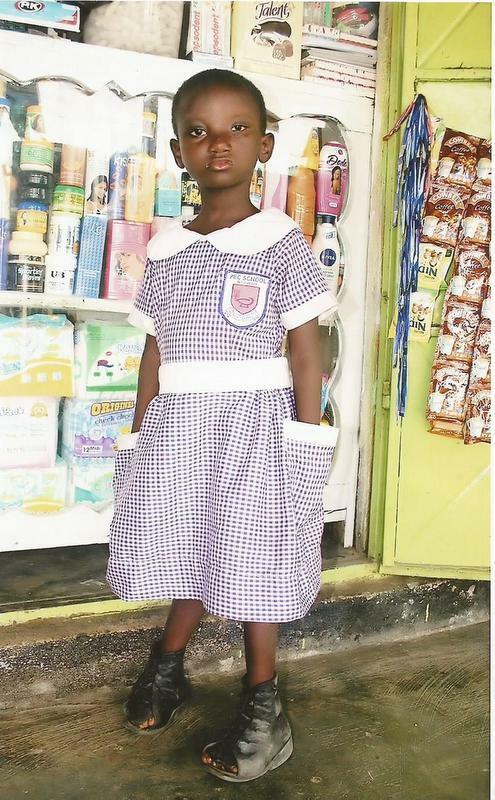 Akua has grown into a nice little girl and is attending school. We see her often and have helped her with school fees. 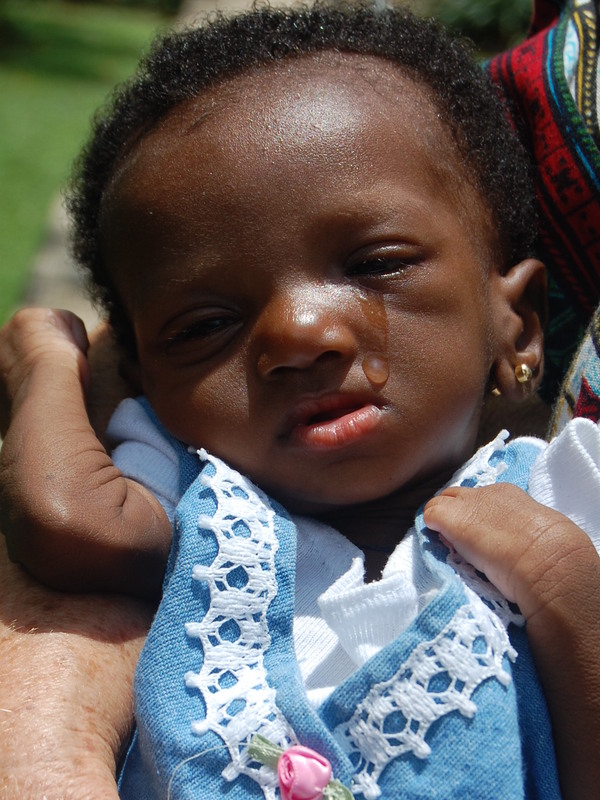 We thank God for this miracle and pray that she will be able to continue her education and be a good family member and citizen of Ghana. Akua now almost 7 years old. This entry was posted in OTC Stories on June 24, 2015 by OTC Ghana.